Beijing-based painter Lu Song is a 2006 graduate from the MFA Fine Art course at Wimbledon College of Arts. Since graduating, he has exhibited all over the world with shows in Berlin, New York, London, Copenhagen, and Sao Paulo. 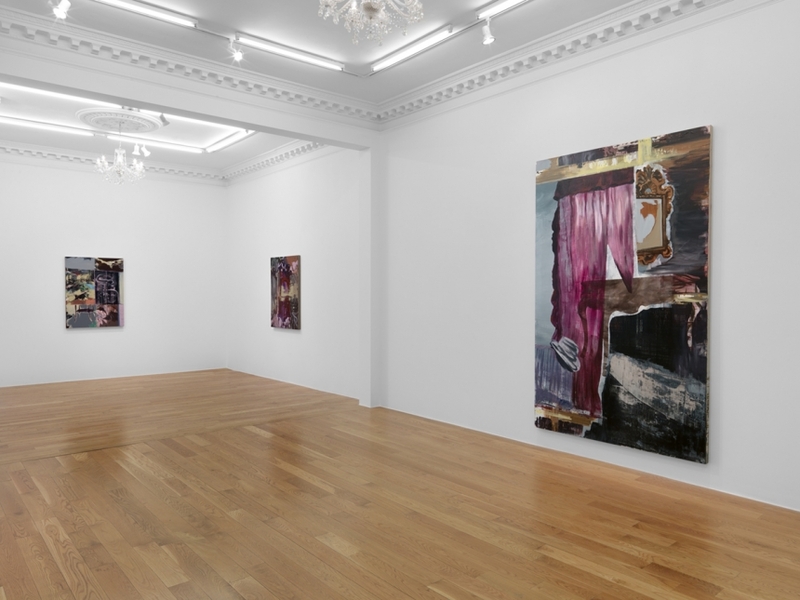 His current exhibition ‘The Room Upstairs’ is showing at Massimo De Carlo in London until 22 September 2018. Lu creates evocative acrylic landscape paintings, inspired by 19th century German Romanticism, which focus on the conception and depiction of an idealised place of safety or comfort and the connections and disconnections between humans and nature. For ‘The Room Upstairs’, he has created a new series of canvases that are inspired by the novel ‘1984’ – the dystopian political masterpiece written in 1949 by George Orwell. The author was deeply disturbed by the widespread cruelties and oppressions he observed in communist countries, and was particularly concerned by the role of technology in enabling oppressive governments to monitor and control their citizens. What attracted Lu to the novel is the tension created by the portrayal of daily lives in the room and its hidden implication of danger. The author depicts the room in different paragraphs as the story progresses. The kind of icy warmth, fear of calm, absurdity and mystery, coexistence of intrigue and delusion are brought into some of the works in the exhibition such as ‘A Pocket of the Past’, and ‘Beneath the Room’ further deepens the understanding and experience of the situation. 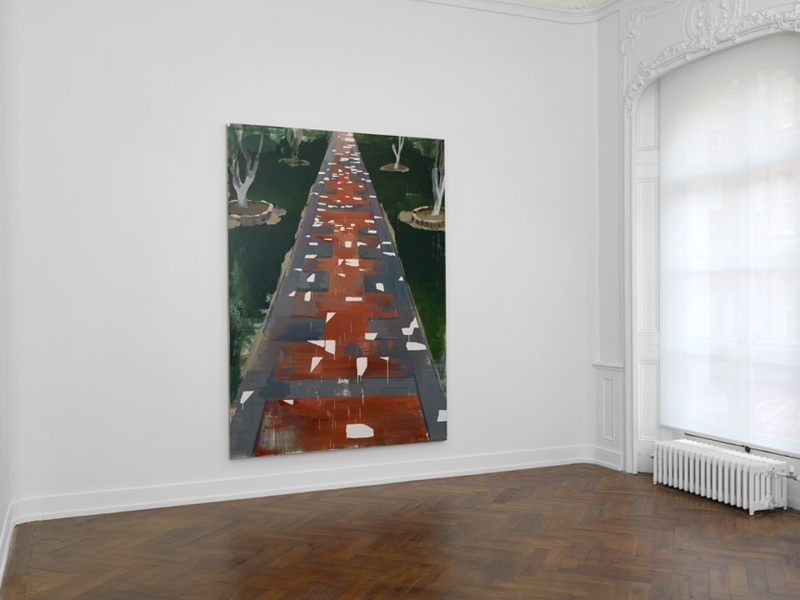 Blurred, incomplete objects on canvas allude to the fragmentation and instability of life. ‘Eight-Thirty’ is an imagination of the sentiment and ambience of the critical moment before Winston’s arrest. The expressive brushstrokes portray the psychological struggles of the character’s mind. The narrative of ‘1984’ also includes a metaphor that refers to Winston’s fascination with the glass paperweight, embodied by Lu in the work ‘The Tiny World’. The meaning of this object deepens gradually with the plot development, becoming a means to address inclusion and exclusion, and otherworldly feelings of isolation. ‘In The Room Upstairs’ dehumanization and fragmentation, manipulation and control, psychological microcosms and socio-political universes are explored through each canvas. The depth of the colours and the strength of each brushstroke evoke a sense of false serenity and veiled thoughts. 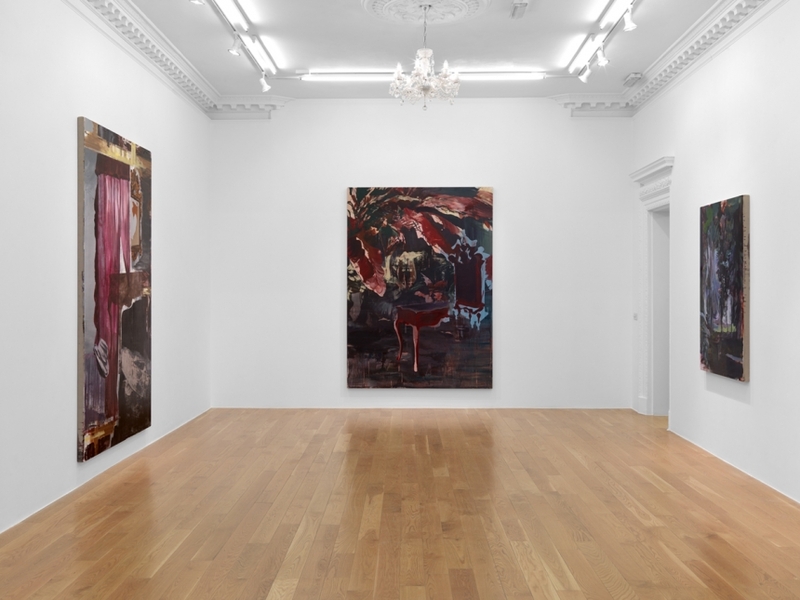 The Room Upstairs is showing at Massimo De Carlo, London (55 South Audley Street, London W1K 2QH) until 22 September 2018, open Tuesday to Saturday, 10:00am – 6.00pm.